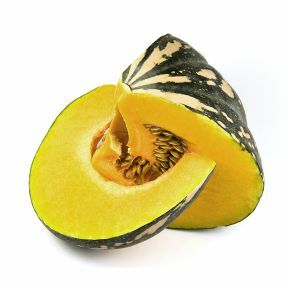 Calabaza, also commonly referred to as Cuban Squash, can be described as a hybrid between a pumpkin and a squash. It is characterized outside by bright markings and inside by a smoothly textured pulp. They are popular in Hispanic countries, mainly Cuba and throughout the Caribbean. Names: Calabaza, Cuban Squash, Green Pumpkin, Ahuyama, Zapallo, Abóbora, Giraumon, West Indian Pumpkin, Crapaudback. Source: United States (South Florida), Caribbean, Mexico, Central America, South America.